Good news for all you teens of the 80’s (Clinton raises his hand) – Super Mario Run is coming to Android. When? Oh who knows but it is coming eventually. In case you missed it, the side runner game was announced yesterday by Nintendo for iOS and it will be available on that platform later this year. When exactly isn’t clear but it will for sure be in time for the holiday season. According to the site Kotaku, Nintendo has confirmed they will be making the game available for Android at some point in the future. Now when that future is exactly is unclear but it almost certainly will be 2017. 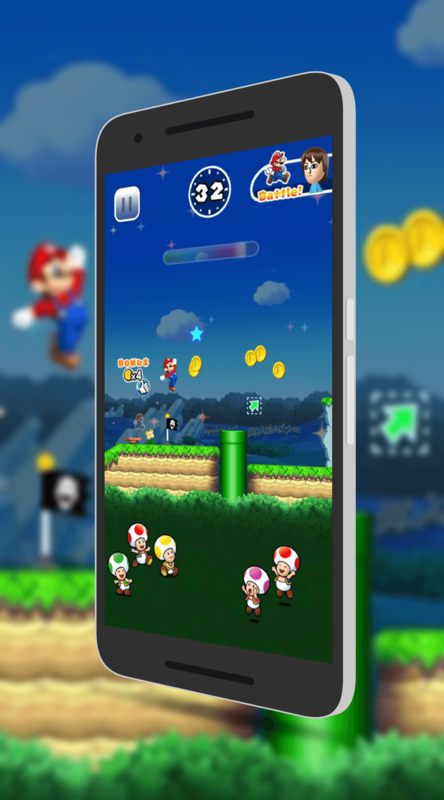 Will this be how Super Mario Run looks on Android? for a while. That’s certainly not uncommon for either Google or Apple to do when it comes to popular apps. Second, it could well be the Nintendo team is all hands on deck to get the iOS build out by the holidays. That too is plausible. Third, it could be both. Whatever the reason, the fact is that if you want to relive your childhood or get some retro gaming in on your Android device, it will be a bit before we see this title hit Android.